So you've read the review. And you've read the interview. In honor of Daisy's debut novel, The Mockingbirds, I've decided to give away a personalized, autographed copy of the book to one lucky winner. But wait, there's more. 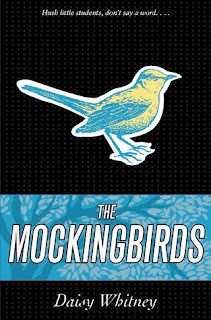 In addition to the autographed book, there will be another drawing where two lucky winners will receive an autographed The Mockingbirds bookmark! And then another drawing where four lucky winners will win plain The Mockingbirds bookmarks! The contest deadline is December 1, 2010 at 6:00PM CST. And I will announce the winners on the 1 month Mockingbirds anniversary. So, be sure to enter! And good luck to everyone!!! 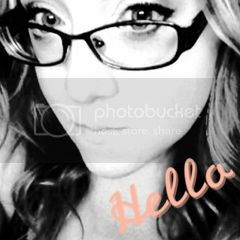 Yay for the awesome giveaway Kim!!! Who doesn't adore awesome giveaways, especially when signed! I am very glad that this book was written. I think that all women should read it. I'm DYING to read this book, Kim! Heard such great things...thanks for the awesome giveaway! Thanks, Kim. I really want to read this one! This giveaway is so good! I have wanted to read this book since it first came out! Great giveaway and I'll try doing this right this time. I can't wait to read this book. Sounds so fabulous. Fabulous giveaway! I won't enter 'coz I'm overseas, but I wish everyone else good luck! Oh, this is so exciting!! I totally want this book! Well now that Shannon's gone and made me look bad with all her points. So, if I win this, we could maybe actually meet up in person for once. Or maybe we could meet up at a coffee shop sometime anyway, considering I work 5 minutes from where you live and live 15 from you. Hi Kim, I'm an old follower and I commented, so I think that's +4. I've been hearing so much about this book and it sounds incredible! Thanks for the giveaway! Super giveaway, sweets! The Mockingbirds is a fantastic book! Yay for signed things!!! You. Rock! Duh... I read your note that the spreadsheet thing didnt work but I filled it out anyway... BLONDE DAY!!! I really wanna read the mockingbird! This book sounds awesome! Thanks so much for the opportunity for the contest. Awesome contest, Kim. I want this book bad. Thanks loads! Yay for fabulous giveaways! Way to go Kimberly! Hahaha! Shannon and all her points. :) Yeah for this giveaway!! I did the form said something was not right so here are my points. Great giveaway thank you very much for the chance!